We know we play in a league with big competitors. This is why we developed solutions that no one else can replicate. We may be smaller than others, but we are definitely smarter. We are committed to give you the best solution ever and we take it very seriously. 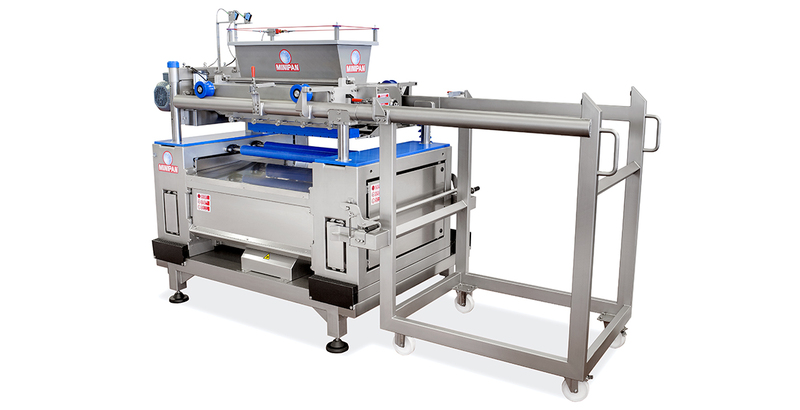 We believe that great products deserve custom made machines. This is the Minipan way. The first thing you may want to customize is the width of your line. We can adapt it to any dimension you want and shape every gram of your precious dough. We know how annoying is recycling the dough. This why we developed the Scrap Free technology for our sheeting lines. Buying Minipan means having a solution created around your specifications and needs, no waste allowed. We build your line saving every gram of dough. Want to know more about our custom lines?